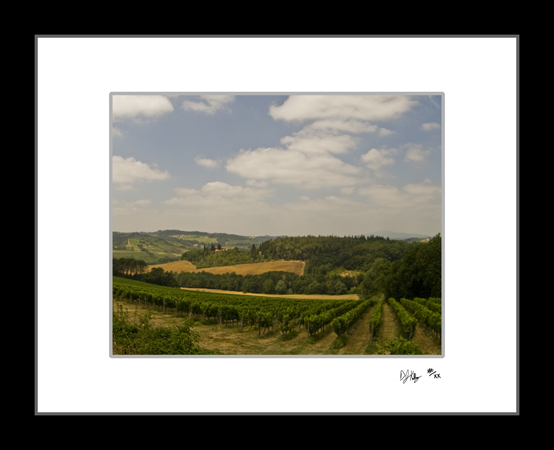 This photograph of the vineyards of Tuscany near Castello Poppiano captures the vineyards, hills, and sky that makes Tuscany a work of art. This photo of Tuscany in Italy looks almost unreal due to its vibrant greens, deep blue skies, and puffy white clouds. These vineyards are where the chianti style of wine comes from.